When I tried my move to Yosemite National Park, I stayed in San Francisco with my buddy Andrew Danielson who is an absolutely amazing artist you should check out here: http://fineartamerica.com/profiles/andrew-danielsen.html. Andrew told me about this avocado snack he likes to make for himself. 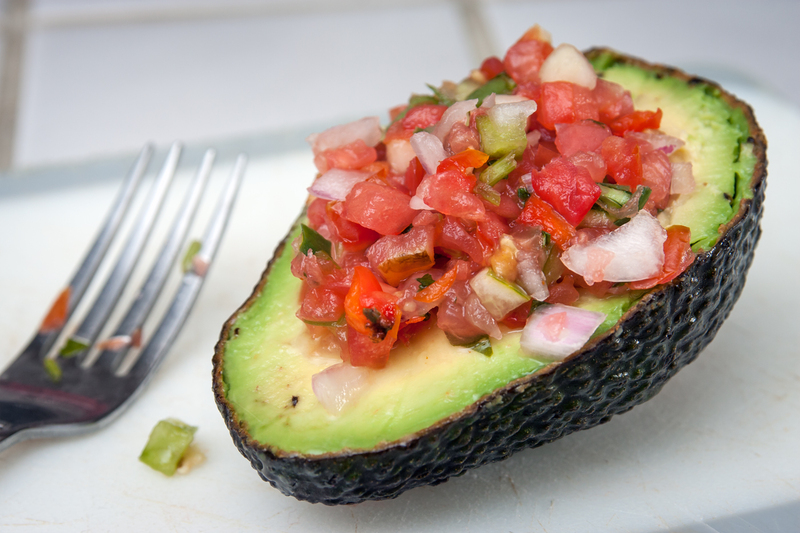 You just fill an avocado with any toppings you would like and eat it right out of the shell. I like it with salsa, little bit of lime juice and some Adobo.